The Brachiolope is the mascot of an interesting Science based podcast, called Science sort of. Apparently it looks like a Brachiosaurus with antlers. 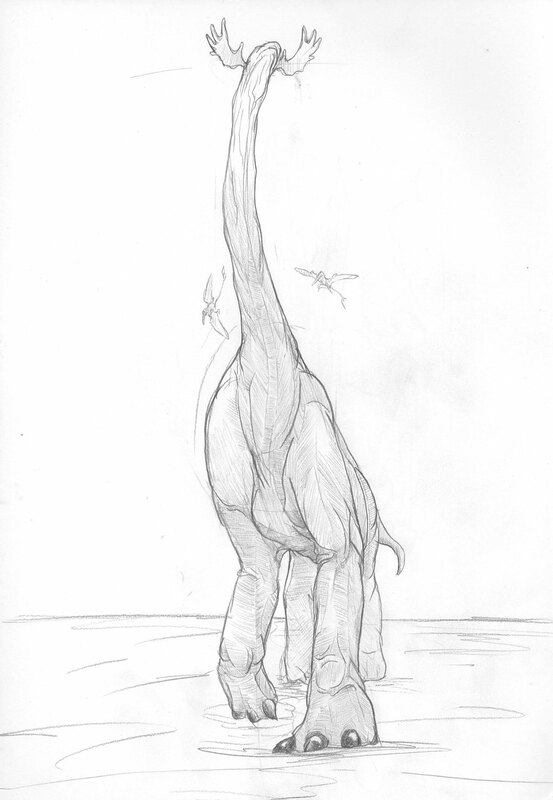 This entry was posted in Scanned Desksketch and tagged Dinosaur, Science by Anthony. Bookmark the permalink.